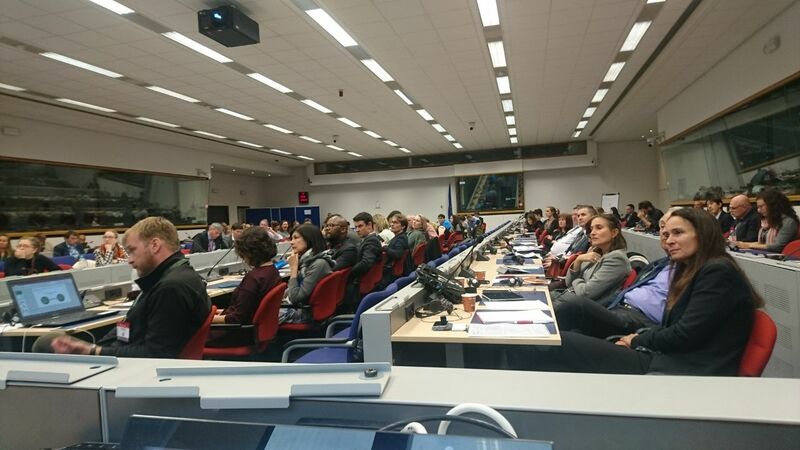 Over 150 speakers and participants from the EU, Australia and South Africa participated in the World Cities project workshop held in Brussels on 11 October 2017. 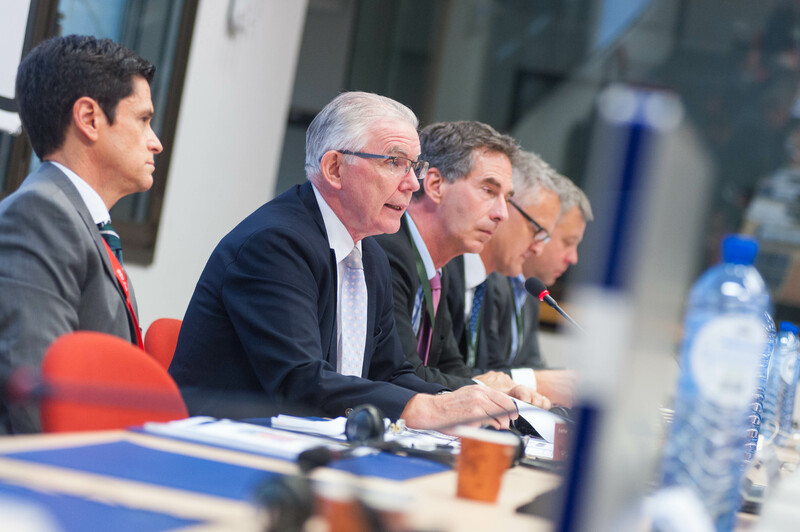 The project is an initiative of the European Union (EU), originating from the European Parliament and managed by DG REGIO. 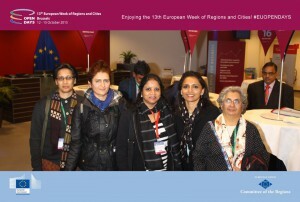 The workshop showcased the state of the art in the bilateral cooperation between European and non-European cities. 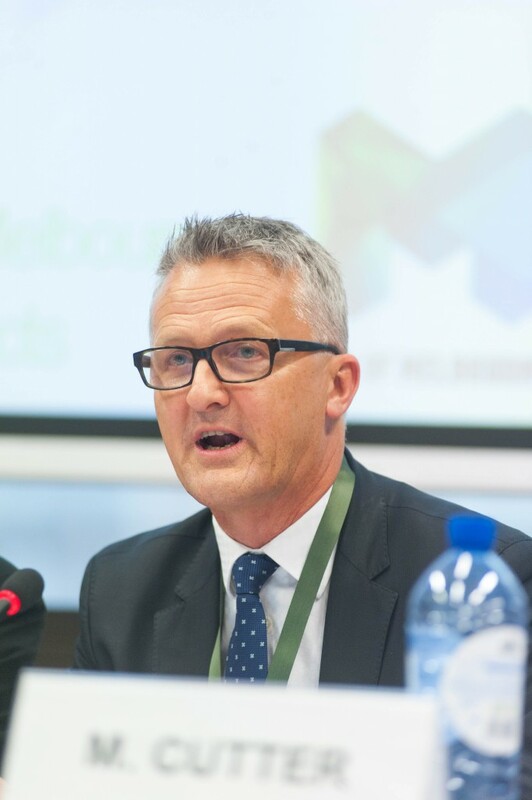 In his opening remarks, Dr Ronal Hall – Principal Advisor at DG REGIO – introduced the World Cities project, which runs on its second phase (2017-2018). 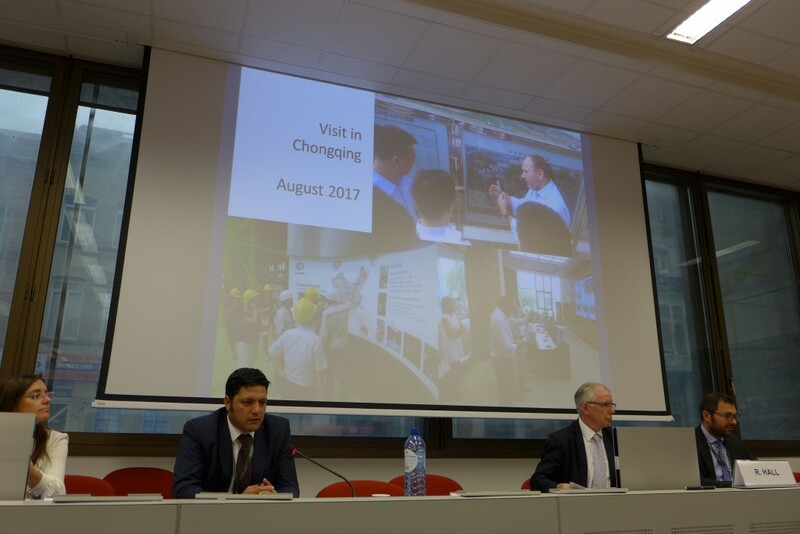 The project supports the cooperation of 16 European cities with 16 pairs from Australia, Indonesia, South Africa, Vietnam and the Republic of Korea. 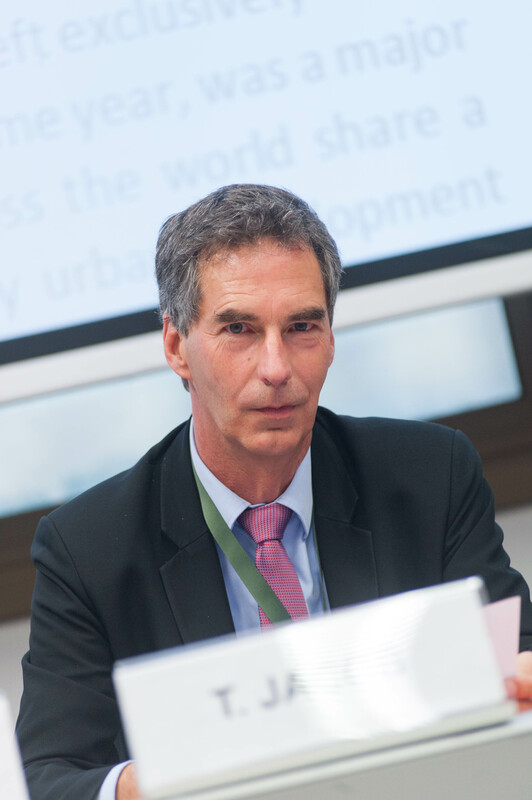 Cities identify concrete projects for implementation in the short term in various areas including urban innovation (smart cities), green technologies (energy efficiency, low carbon development) and urban renewal. 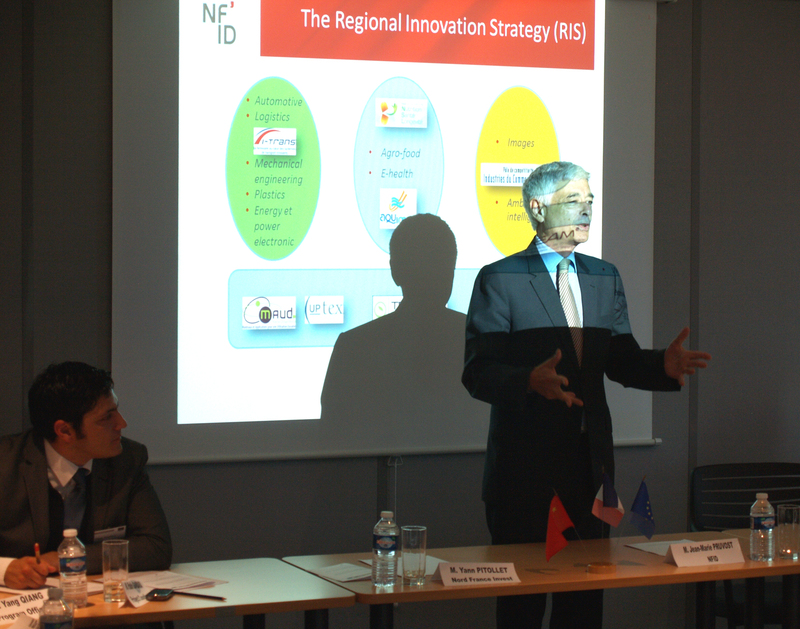 Dr Hall emphasized that initiatives are designed to increase what is known as “triple-helix cooperation” between governments, research and business. 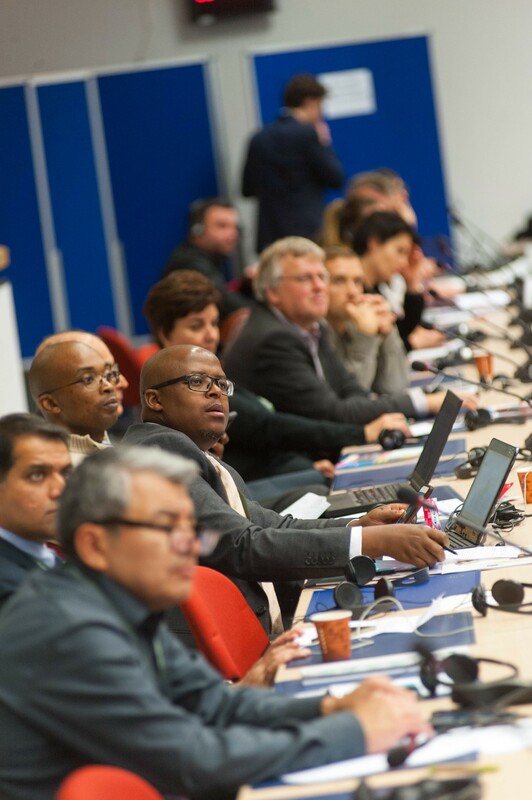 World Cities strengthens market opportunities and job creation while pursuing the sustainable economic development of the cities involved, working with a win-win cooperation rationale. 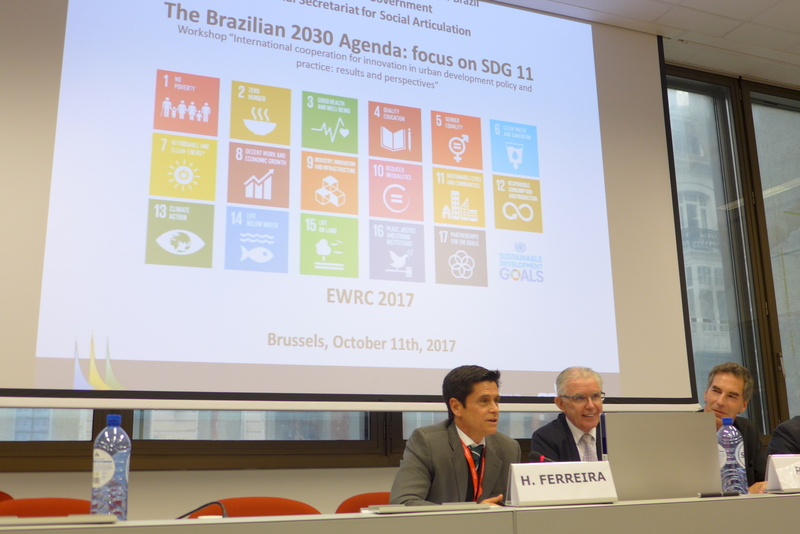 Henrique Ferreira, Secretary at the Brazilian National Secretariat for Social Articulation, inroduced the Brazilian 2030 Agenda, focusing on the implementaton of the SDG 11 (sustainable cities and communities). 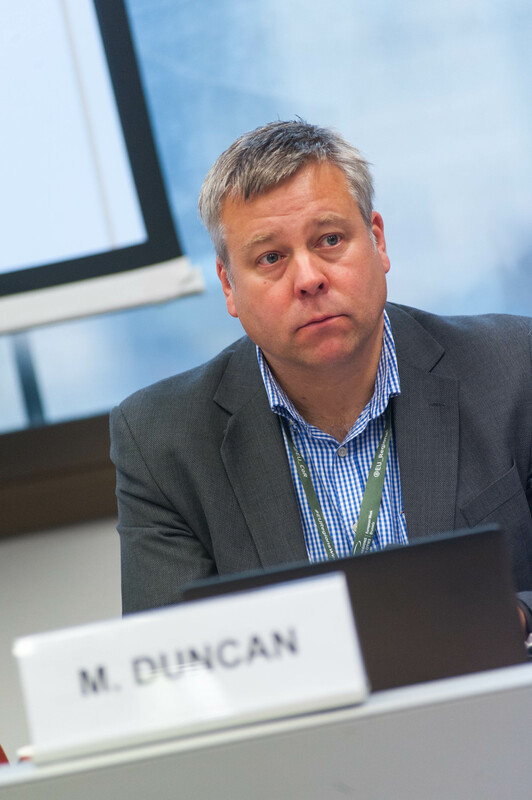 He referred to the main stages of implementation of the housing programme, including awareness raising efforts as well as the development of multi-level governance mechanisms. 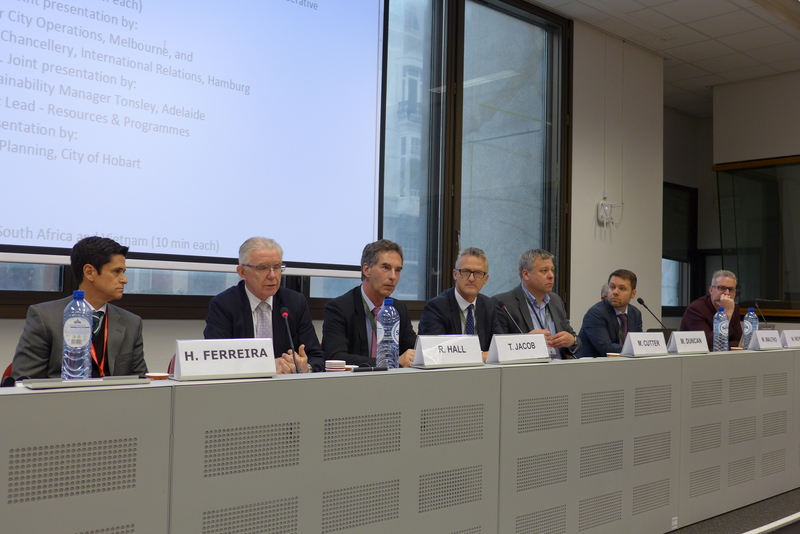 Mr Ferreira mentioned some challenges and opportunities to local governments, including training national managers and getting access to a “technology data bank ” for the exchange of experience and good practices. He then explained the “Minha Casa Minha Vida – MCMV” programme as well as the National Policy on Urban Mobility to the wider audience. 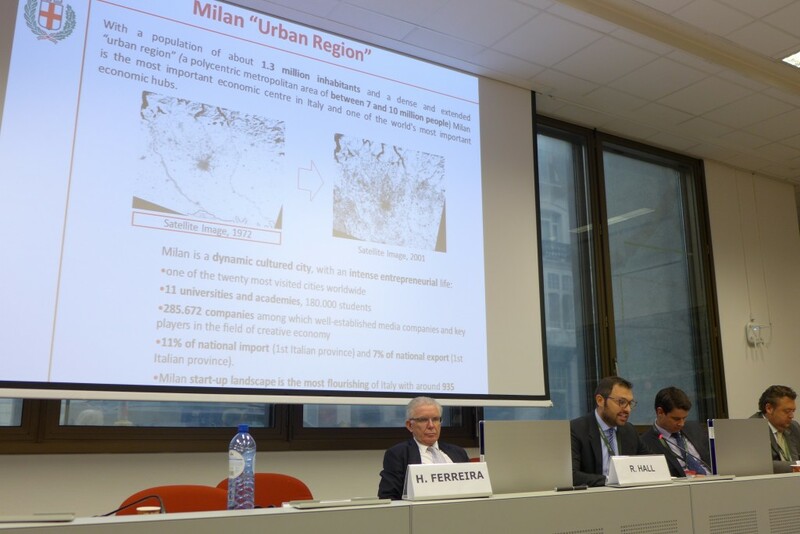 Martin Cutter (Melbourne) and Thomas Jacob (Hamburg) explained the progress of the bilateral cooperation around the areas of urban data platform, smart city urban / living lab and governance solutions for smart urban planning. 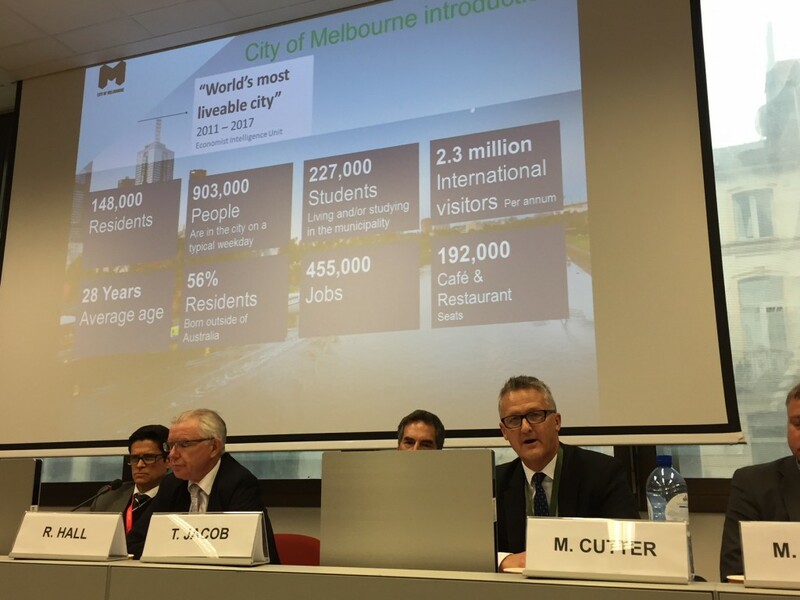 After the 1st visit of Hamburg experts to Melbourne (May 2017) and the follow-up visit of Melbournians to Hamburg (October 2017), both sides concretized cooperation through two pilot projects: 1) Community engagement via digital and data tools to co-design urban renewal areas (focus on possible use of relevant tools from Hamburg in Melbourne such as My SmartLife, City ScienceLab, Urban Labs, Citizen Cockpits, Smart Square to address community priorities and enhance citizen participation in city planning and development, e.g. For Melbourne Innovation Districts, Arden-Macaulay district). 2) Sound and security management using IOT at major events: consider trailing MONICA (Management of Networked IOT Wearable) at selected City of Melbourne events to address sound and security issues, e.g. New Years’ Eve, Moomba. 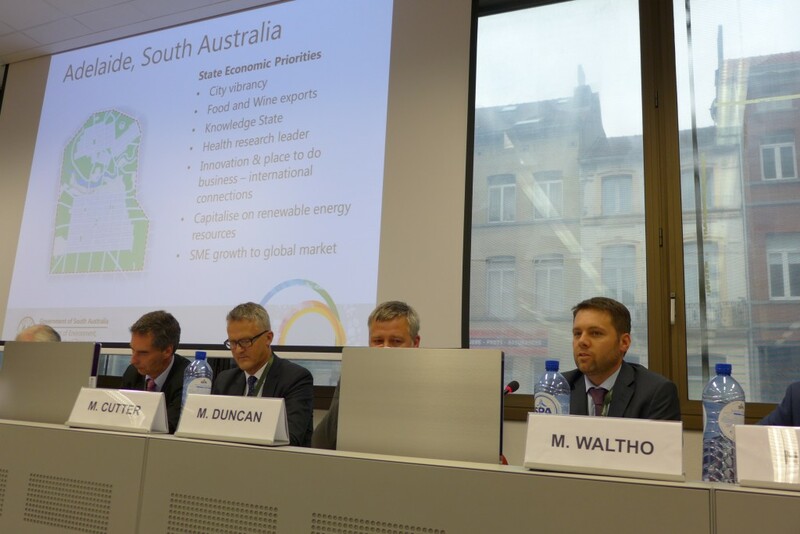 Matt Waltho (Adelaide) and Marc Duncan (Manchester) introduced their cooperation based on Energy Management, University Collaborations and Event Technology / City Experience. Concrete projects are being developed in Climate Change Action, efforts towards achieving a carbon neutral city, join development of mobility & smart cities services as well as on open data. 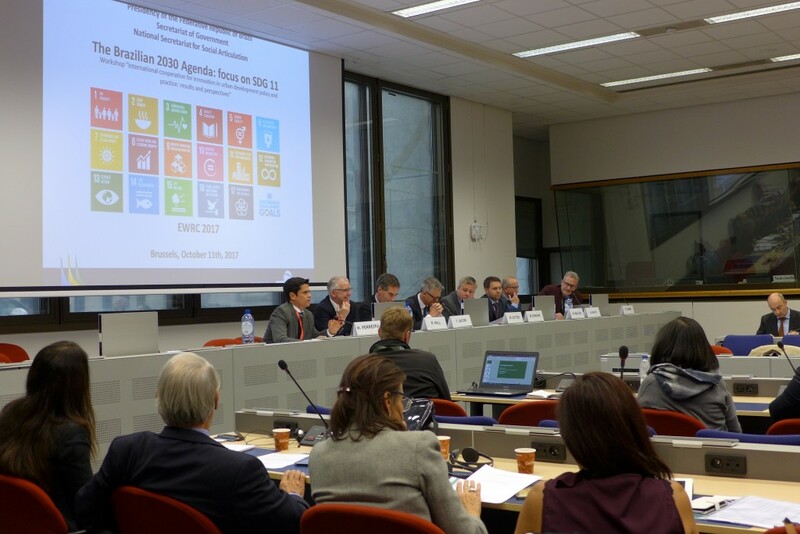 Examples of cooperation include bilateral efforts towards including Adelaide in the EU H2020 Projects Triangulum & GrowGreen, both coordinated by Manchester City Council. 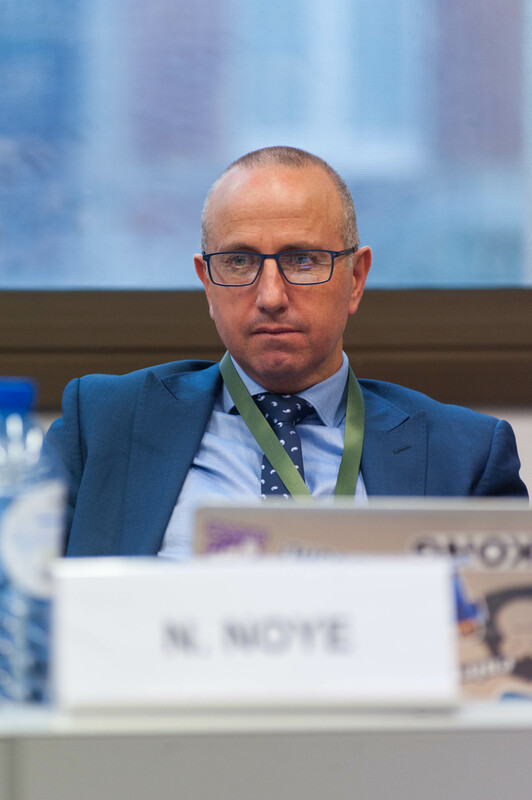 Neil Noye (Hobart) explained the bilateral cooperation talks held with Katowice in the areas of Governance Arrangements, Smart Cities, Climate Change & Adaptation, Transportation, Culture & Creativity, Entrepreneurship, Education, Renewable Energy, Urban Renewal and Community Engagement. 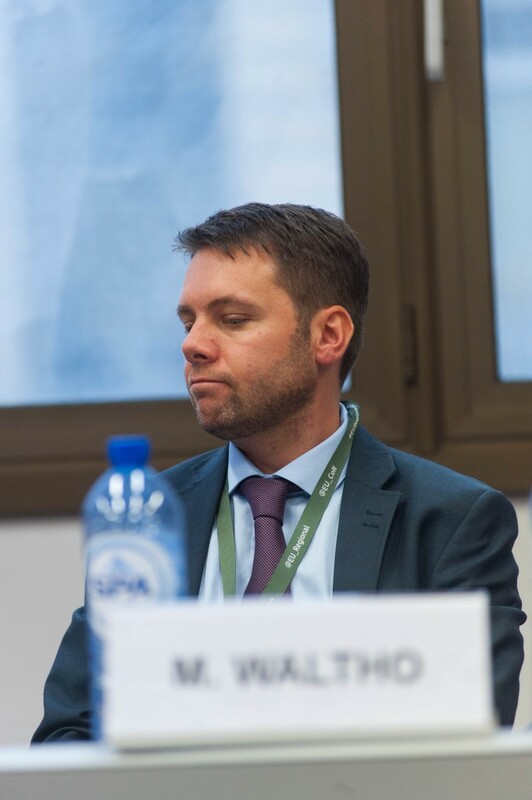 Neil and colleagues focused on Culture & Creativity and introduced the intended the triple-helix cooperation regarding the NOSPR Orchestral Performance International Telecast 2020, which would provide a range of exchange possibilities between students, start-ups and city staff. Pablo Gandara (World Cities) explained the state of cooperation between Canberra and Prague including the European Space Agency Business Incubation Centre Prague, the joint support for innovation and entrepreneurship through collaboration on start-ups and developing an exchange programme, as well as the ongoing exchange of knowledge and learnings in relation to urban renewal and business innovation. 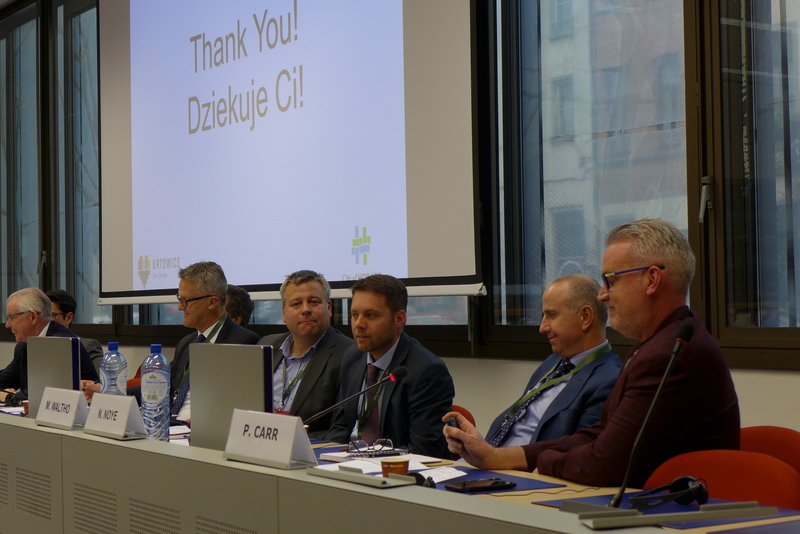 Canberra delegates visited Prague in August 2017 and reflected about lessons learned from Prague’s approach to Smart City development, focusing on efficiencies and process outcomes rather than simply technology. Prague revitalised the city through mixed use, repurposing disused industrial zones and thus creating highly appealing neighbourhoods in which to live and work. Prague’s heritage redevelopment focuses on outcomes that support the heritage use and values of the space, rather than simply preservation of built form outcome. The city has targeted industry, research and development, thus enabling the development of regional expertise in renewable energy and building energy efficiency. 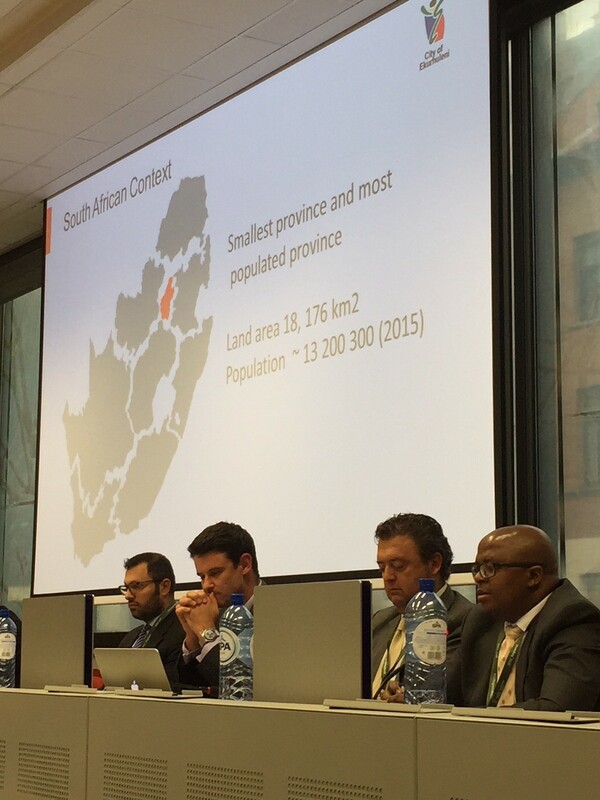 Cllr Andrew Whitfield (Nelson Mandela Bay Municipality) and Diego Gil (Andalucía) explained ongoing cooperation in the areas of Port – City Integration (Waterfront), Cultural exchange (Picasso exhibition), Urban Planning Transformation and Smart City Cluster development. 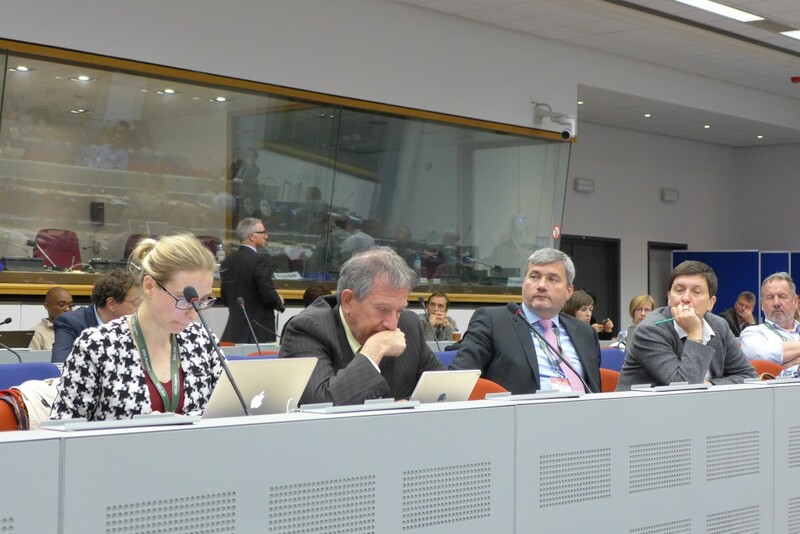 All actions are based on a triple helix approach involving representatives from public administration, universities and business. 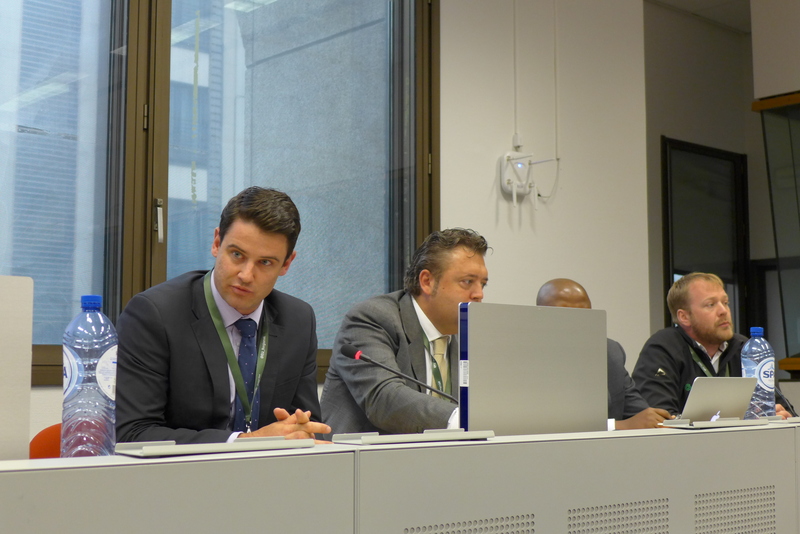 Sbusiso Dlamini (Ekurhuleni) explained the ongoing cooperation with Graz in the areas of green-tech cluster (smart city initiatives), regional management (instruments and measurement tools for a joint regional management system, focusing on the creation of employment opportunities, mobility and inter-communal collaboration in Ekurhuleni) as well as on municipal spatial development (collaboration regarding the establishment of “ECOPROFIT” in Ekurhuleni, a comprehensive environmental management system that promotes environmental management and business development). 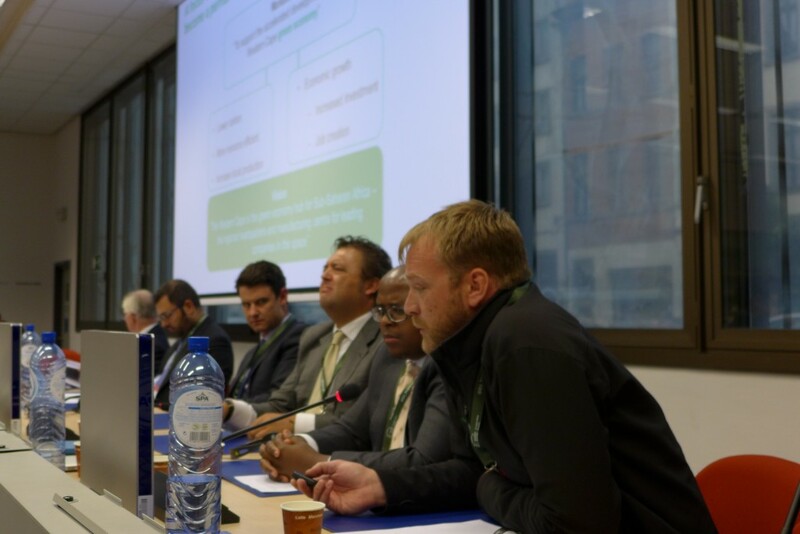 Jarrod Lyons (Green Cape) explained the origin and the structure of this Green Tech Cluster, which focuses on Overlaid with cross-cutting desks including green finance, skills, technical and knowledge support as well as business matchmaking. GreenCape – with over 1.000 Member companies – has made significant socio-economic impact in South Africa, contributing to achieving ZAR 17bn investment in the Western Cape since 2011 and to the creation of over 10.000 local jobs. 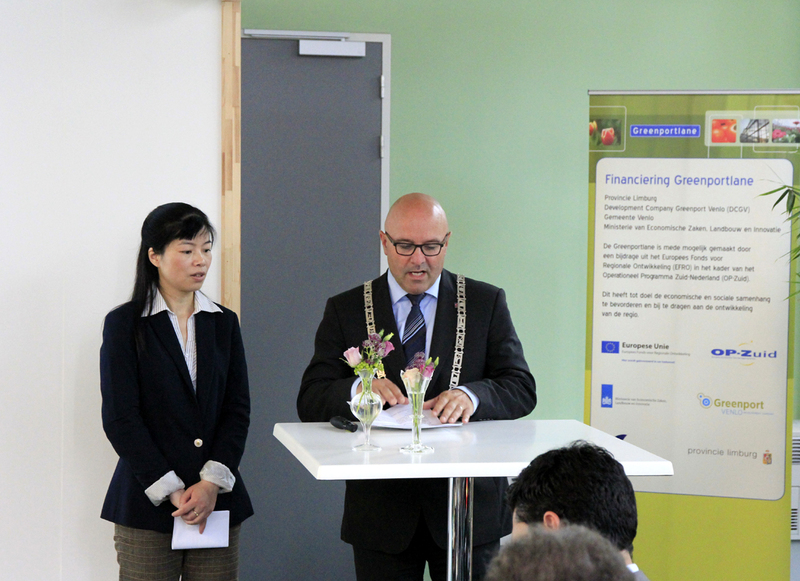 GreenCape is the 1st African Cleantech cluster invited to join the world leading regions through the International Cleantech Network (ICN), of which also the City of Graz’s green tech cluster is a member. 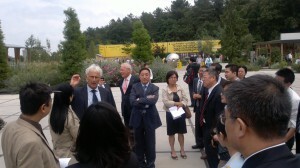 Marco Mazziotti (Milan) explained the state of cooperation between Milan and Vietnam (both Hanoi and HCMC). Cooperation areas include smart city (mainly ICT solutions for traffic management and public lighting) and circular economy (especially waste management). 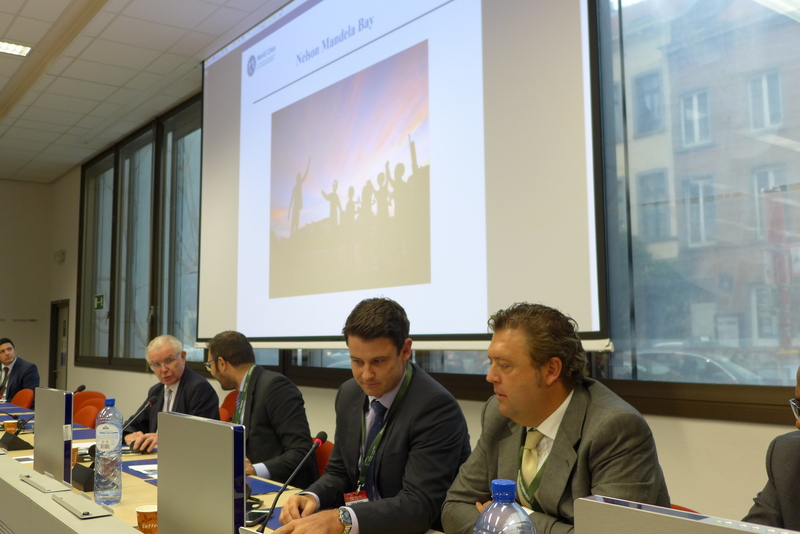 Giorgia Rambelli explained the International Urban Cooperation Project (IUC), which supports city parings cooperation between European cities and pairs in North- and Latin America, China, Japan and India. David Linse (Mannheim) was represented by Pablo Gandara to introduce the state of cooperation with Chongqing (China). 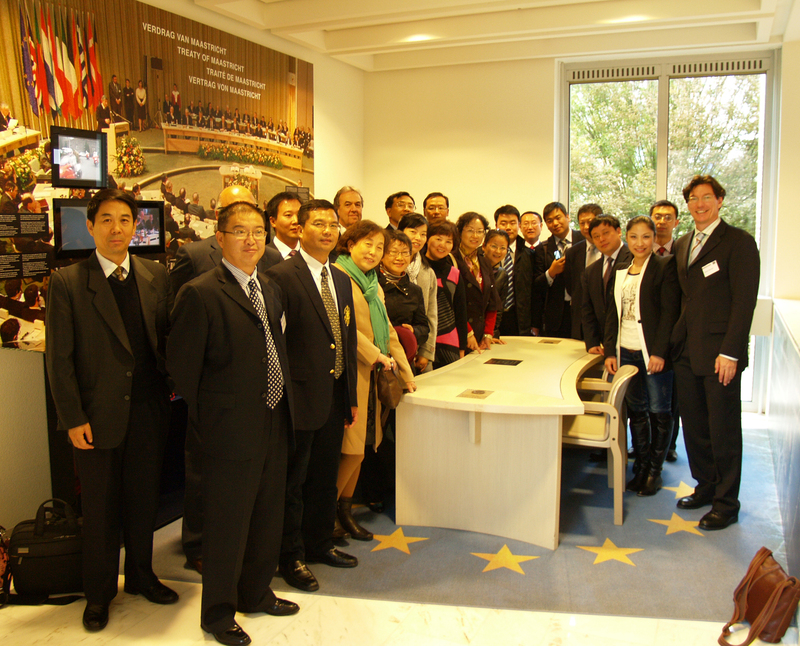 The pilot areas for cooperation are establishing a Chongqing representative office in Mannheim, developing of a freight railway connection between Chongqing and Mannheim and organizing economic cooperation conferences on both cities in 2018. It was clear from the presentations that the participants in the World Cities project see a clear place in international cooperation for this kind of action. City to city cooperation is the way forward towards localizing the UN and the EU’s Urban Agenda. 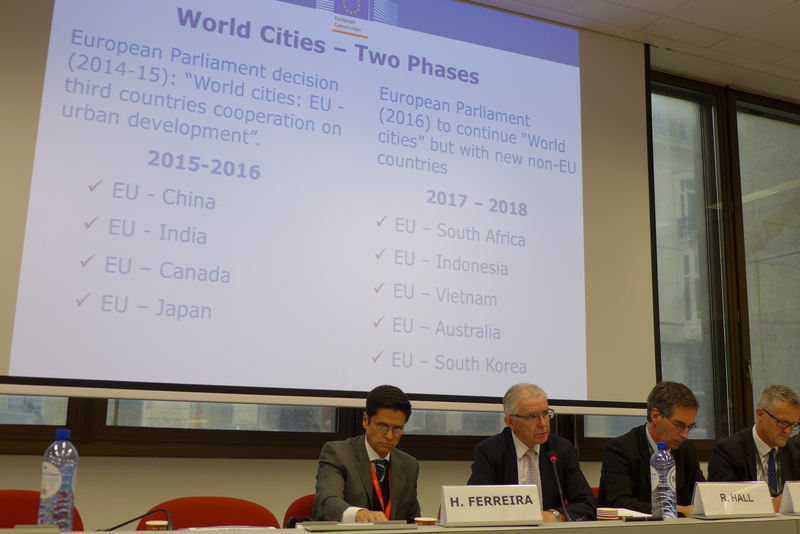 There was consensus among participants on the added value of the World Cities project, which has opened up very rich opportunities for cooperation between EU cities and their counterparts in other countries. 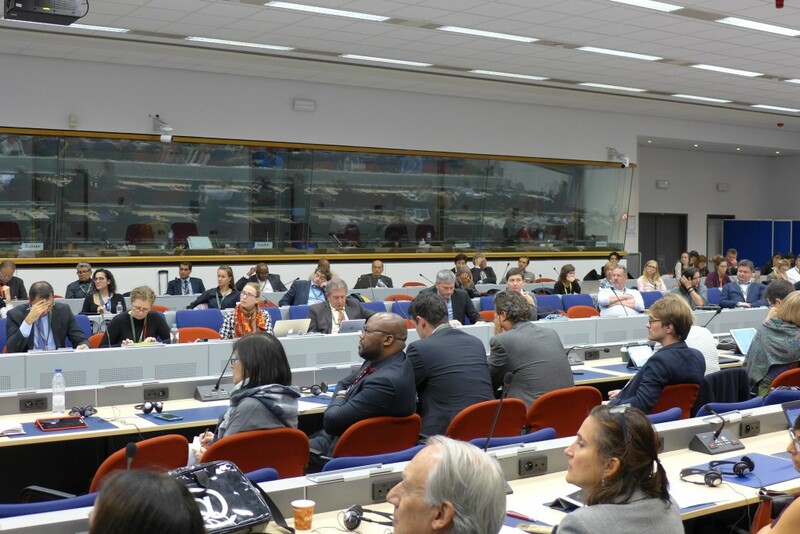 The various areas and actors involved in the cooperation reflect the big demand of cities worldwide to cooperate in tackling similar challenges like mobility, job-creation and citizen’s participation. 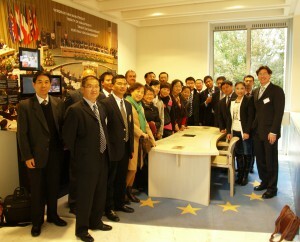 The project is challenging at the same time, given the short term cooperation support by the European Union. Therefore, participating cities and the World Cities management team are fast developing alternative financial models in order to ensure the sustainability of the project. 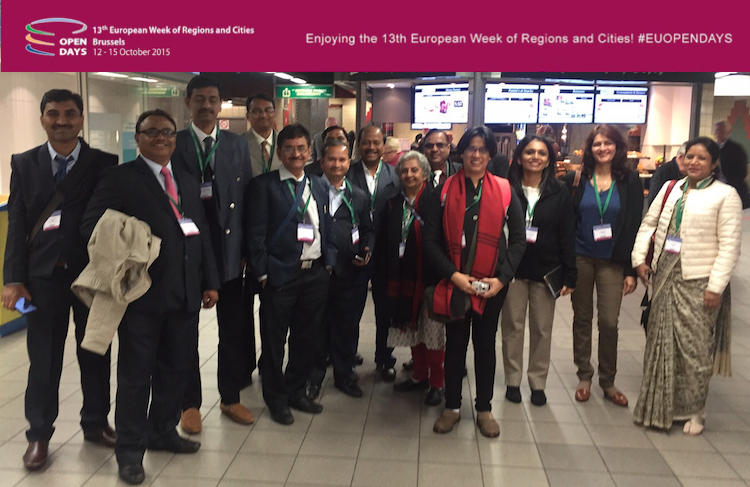 World Cities is so far the World’s most intense international city-to-city cooperation, making a major contribution by allowing open-ended collaboration between partners and sparking creativity among the partners, encouraging management of complex diversity. The facilitation and knowledge management mechanism of the project are crucial to ensure self-sustaining beyond the project’s life-cycle.